Peer review (also known as refereeing) is the process of subjecting an author's scholarly work, research, or commentary to experts in the same field to determine suitability for publication in the journal. The peer-review process and the recommendations of expert reviewers assists the Editor-in-Chief or designated member of the Editorial Board to recommend publication of the articles that meet certain standards. Among these is to determine that empirical research uses acceptable methodology, analyses and that the conclusions are supported by the results and contribute to the field of study. The submitted articles must be unbiased, well referenced and of a topic within the scope of the journal. Reviewer should not show any favoritism or partiality or prejudice while reviewing the manuscript. Reviewers must comply with the review process timeline described in the invitation to review. Reviewers determine the scientific merit, originality and scope of the work; indicating ways to improve it; and recommending acceptance or rejection using the rating scale or Reviewer Form the Editor-in-Chief provides. Reviewers should provide constructive suggestions and guidelines to authors to make revisions to improve the manuscript, if possible. 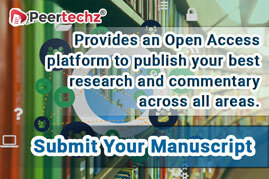 Manuscripts are assigned to expert reviewers in specific fields based on the article title and key words. Reviewers are selected by the Editor in Chief or an appropriate member of the Editorial Board or Editorial Office. Reviewers must complete their review of submitted articles within 7 to 10 days or upon receipt of the assignment, request a reasonable extension. Authors must complete any revisions and resubmit their manuscript within 5 to 10 days based on the decision of Editor, and depending on whether the revisions or minor or major in nature. The Editor will make a decision regarding accepting or rejecting a manuscript within 24 to 48 hours of the revised version. Publishing Group should provide final research work on online within three business days from the accepted date to finalize the publication process. Reviewers who participate in 10 peer reviews per year will receive a discount on their own future submissions to the journal. Reviewers who refer colleagues to submit manuscripts to the journal will receive a fee waiver on his/her submission. Editorial/research/review article, reviewers will receive a complete waiver (publish article with free of cost). If you would like to begin your association with the journal as a peer reviewer kindly send a letter of interest, your areas of expertise and interest and a complete CV to: info@peertechz.com.